A straw sun hat is the perfect accessory for those hot summer days. A good straw hat will be able to protect your head and face from the harmful UV rays that the sun provides for us on a daily basis. You can find Raffia straw hats for men, women and children so the whole family can be decked out in stylish protective gear. Many beach-goers prefer the wide brim hats because they provide great sun protection. The Physician Endorsed Incognito hat for women is made of real raffia and comes complete with a leopard scarf. The scarf can be tied underneath the neck to help keep the hat in place and also to protect your neck from the sun. The scarf can be removed and used as an accessory or you can just wrap it around the crown of the hat at its base. A straw sun hat such as this one is a good choice for UV protection and it's breathable which will help you stay cool as well. This Augusta hat by Sunday Afternoons is a men's straw sun hat that is made with high quality palm straw. It features a 3.5" brim, an internal sweatband to keep sweat from falling down into your face and it has a UPF certification rating of 50+ which is the highest rating possible. The crown, as well as the top of the brim is covered with cloth to add a bit more comfort and there is a ribbon accent on the headband as well. This hat weighs just 4.8 ounces so it's very lightweight which will also help you stay cool and comfortable. It's especially important that children wear sun protection because their skin is so sensitive. Their skin will burn easily so it's crucial that they're wearing clothing and accessories that will provide a good amount of UV protection for them. The Sun Grubbies Ultra Braid hat is perfect for children who range in age from 4 to 8 years. 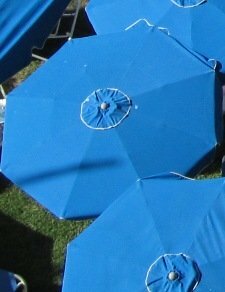 It has a UPF rating of 50 and will block 98% of UV rays. It can be easily packed into a backpack or travel bag for easy transporting. The straw material will also help to keep your child cool on hot days. 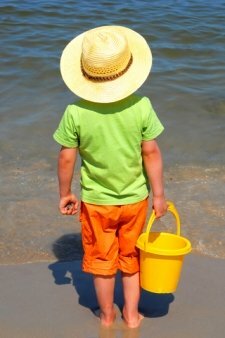 If you're in search of sun hats, a straw sun hat is a great option to consider. They are very lightweight and yet they are made with breathable straw that helps to keep you cool. Staying cool in the heat is tough when the sun is beaming down on you all day. Wearing a good sun hat can easily prevent sunburn on the face, ear and neck areas. Straw hats are also very affordable and can be had for as little as $30 or less. That's a pretty small price for an investment that will provide great sun protection for you and your children.